The Apple iMac A1418 - ME087LL/A desktop computer is an elegantly designed and durable workstation that will satisfy all your computing needs, while giving an outstanding performance during even the most demanding applications. The iMac has a full set of connectivity features, comprised of 4 USB 3.0 ports, Gigabit Ethernet, dual Thunderbolt ports, as well as Bluetooth 4.0. This combo gives you an efficient and uninterrupted connection. This amazing machine lets you easily manipulate graphics, watch movies, or play your favorite games, in an all-in-one device. It features a 21.5-inch widescreen LED display with a screen resolution of 1920 x 1080, and an anti-reflective coating and cover glass that are fully laminated to the LCD. The standard Apple iMac A1418 - ME087LL/A desktop computer has a Core i5 quad-core 2.9GHz Intel core processor, and features four processor cores independently on a single chip. The iMac has 6MB of shared level 3 cache and 16GB of 1600 MHz DDR3 SDRAM. This is not meant to be upgraded after purchase. The hard drive features 1TB of storage memory, while the NVIDIA GeForce GT 750M graphics processor with 1 GB of dedicated GDDR5 memory, provides a powerful punch. It has an expansion slot for an SDXC SD card. The Apple iMac A1418 - ME087LL/A desktop computer has a built-in FaceTime HD webcam, as well as stereo speakers. It does not have an optical drive. The Apple iMac has a rear case that is made of aluminum, featuring a design that is thicker in the middle part, and then tapers to a razor thin edge of only 5mm. When compared to its predecessor, it uses essentially the same external casing, but inside it has the architecture of the much faster fourth-generation processor. It also features faster graphics, gives you the option of faster storage, and has a much faster WI-FI connection. The late 2013 models, such as the Apple iMac A1418 - ME087LL/A desktop computer. Many serious graphics artists and editors rely on their iMacs to give them a reliable and lag free computer experience. The iMac fully supports Turbo Boost 2.0, which boosts processor speed based on the workload. This means that if an application is only using one of the available cores, the speed of that core is automatically increased while the unused cores are turned off. 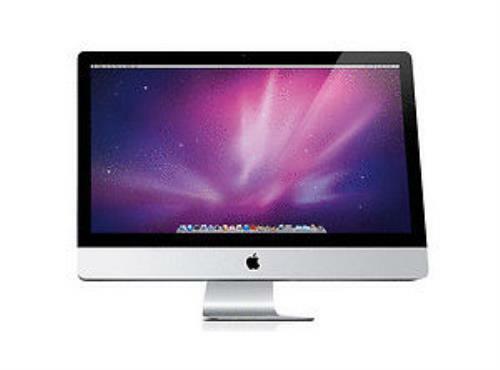 With its many accessories, the Apple iMac A1418 - ME087LL/A desktop computer is a favorite among avid gamers and those who rely on a responsive display screen.